How did Friday get here so quickly? I guess I've been just busy enough that the days have flown by. I've been playing with my Minc Mini that I bought from HSN. It came with lots of foil paper, glitter paper, toner paper and embellishment packs. I've been foiling like crazy - because it's just plain fun! The little tag was part of the kit and I foiled it in gold. 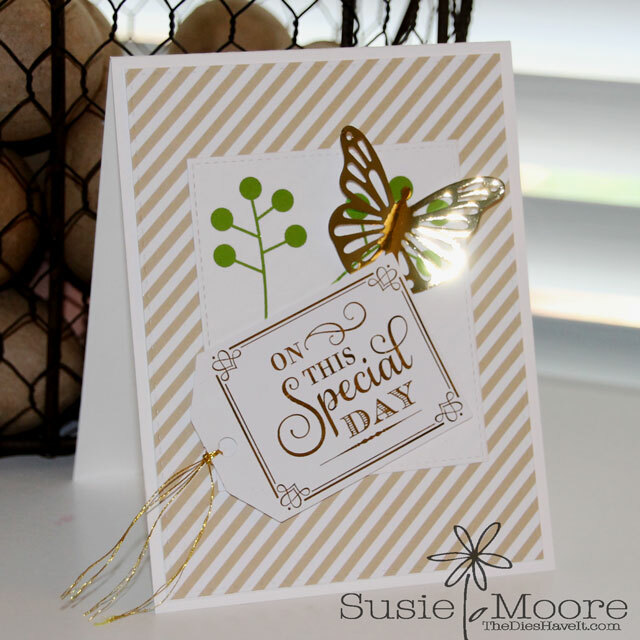 I die cut the butterfly from toner paper and then foiled it in gold too. I thought this would make a lovely wedding or even birthday card. We shall see! Have a wonderful day and I'll meet you here again tomorrow.